Although Fear the Walking Dead started out as a prequel to The Walking Dead, it established some connectivity to the main series last year when it added Lennie James’ Morgan Jones to its cast. Now, AMC has another crossover in the works. 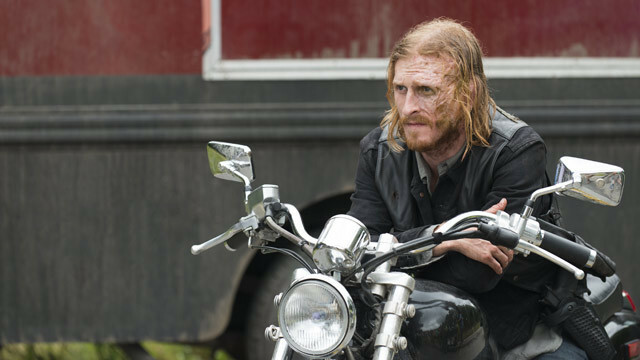 ComicBook.com reports that Austin Amelio will reprise his role as Dwight during the spinoff’s fifth season, which premieres later this year. Dwight originally appeared on The Walking Dead as a member of the Saviors. Though he killed members of Rick Grimes’ group, his loyalty to the Saviors was mostly a means to protect his wife, Sherry, from Negan. When Sherry freed Daryl from the Saviors’ compound and eventually fled as well, Dwight allied himself with Rick’s group. He spent the show’s eighth season as a double agent, helping Rick’s team by taking down Negan from the inside. Once Negan was defeated, Daryl exiled Dwight from the various communities, but not before handing him the keys to a truck and encouraging him to find Sherry. Prior to The Walking Dead’s recent six-year jump, Fear the Walking Dead had more or less caught up with the main series’ timeline. With that, it’s likely that Dwight’s journey will pick up after Negan’s downfall and find him continuing his search for Sherry in Texas. If it turns out that Sherry is still alive, then perhaps Christine Evangelista will eventually reprise her role as well. Are you excited about Dwight’s return to The Walking Dead universe? Do you think he’ll succeed in finding Sherry? What other TWD characters would you like to see on Fear the Walking Dead? Let us know in the comment section below!